eFulfillment Service, one of the ecommerce industry’s leading order fulfillment companies, is pleased to announce that it has been recognized by Multichannel Merchant as a “Top 3PL” for 2016.
eFulfillment Service (EFS) provides warehousing and order fulfillment services to hundreds of ecommerce merchants across the globe. Started in 2001, EFS is a family-owned and operated 3PL (third-party logistics) provider with an ongoing commitment to world-class service, transparency and integrity. 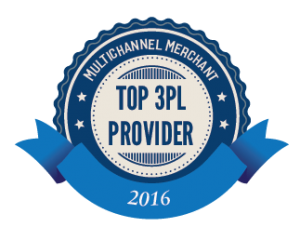 Given the growth of ecommerce and expanding need for quality third-party logistics companies, Multichannel Merchant created the list of Top 3PLs as a way to help guide merchants to find a dependable fulfillment service provider.